Oyster shells left over from the Lowcountry's famous oyster roasts can be used to add variety to your yard's landscape and to fertilize your shrubs, trees and garden. 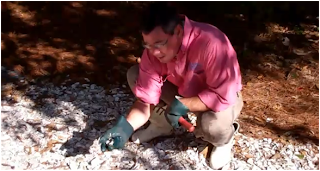 In this edition of "How Pete Rolls", Pete Loy, President of Citadel Enterprises, shows you how to recycle oyster shells to improve the look of your landscape while benefiting the environment. In business since 1991, we offer remodeling, repairs, and design/build services with an emphasis on trust, service, and neatness to clients who desire to work with a trusted firm.